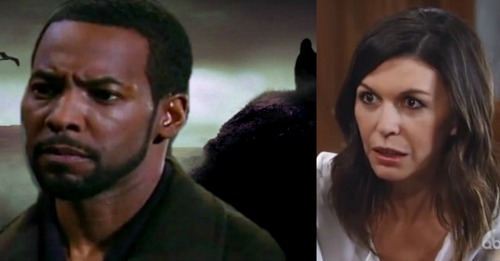 General Hospital (GH) spoilers tease that Anna (Finola Hughes) will be determined to learn the whole truth. She had a child with Faison (Anders Hove), so she suspects Heinrik is their son. Anna may get confirmation on that soon enough. However, that’s not the end of this GH mystery. Anna obviously needs another huge piece of the puzzle. She may confirm that Heinrik is her long-lost kid, but she still won’t know his current alias. Anna will definitely need some help as she tries to crack the case. Since Heinrik is the traitor, that gives Anna somewhere to start. She has a connection to someone with traitor ties. Of course, we’re talking about Andre (Anthony Montgomery). When Andre was written out, a show rep told Soap Opera Digest that he’d be back for more scenes eventually. GH fans will finally see some of those next week. 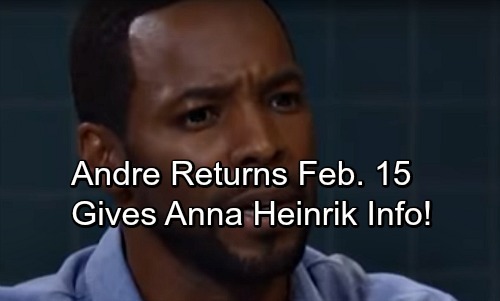 On February 15, General Hospital spoilers say Anna will visit Andre in prison. She’ll have a couple reasons for popping in. 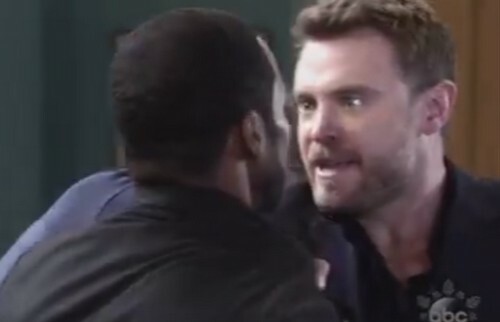 First, Anna will want to check on Andre and see how he’s holding up. Life in the slammer is pretty rough, so Anna will provide some support. Andre should be glad to see a friendly face. He must be lonely now that he’s stuck in a cell all the time. Once they chat for a bit, Anna will likely get down to business. She may push Andre to reveal traitor info. Anna will be desperate for anything that could point her in Heinrik’s direction. She needs to find Heinrik before Sonny (Maurice Benard) and Jason (Steve Burton) do. It could be the only way to protect him. Naturally, Andre will probably argue that he told the cops everything. He may feel like there’s nothing else he can offer Anna. Nevertheless, Anna will keep at it. She might think Andre is holding out on her due to fear. Perhaps Andre will believe chaos could be unleashed if the traitor’s exposed. Then again, Andre may truly be in the dark on the traitor’s identity. In that case, Anna’s news could help Andre out. Once she gives him Heinrik’s name and some background info, it could jog Andre’s memory about something. He may not have anything solid, but this visit could still generate some leads. Regardless, it’s doubtful that Anna will leave Pentonville empty-handed. Will Andre’s revelations put Anna on the path to the truth? Will a clue help Anna figure out that Heinrik is Peter (Wes Ramsey)? We’ll give you updates as other General Hospital details emerge. Stick with the ABC soap and don’t forget to check CDL often for the latest General Hospital spoilers, updates and news.